Well, I am lying in bed, after my wonderful husband bought me breakfast. The rain is pattering on the roof and its the first day of spring in Adelaide, South Australia. I’ve finally got around to having a WordPress account and so to put it to work. 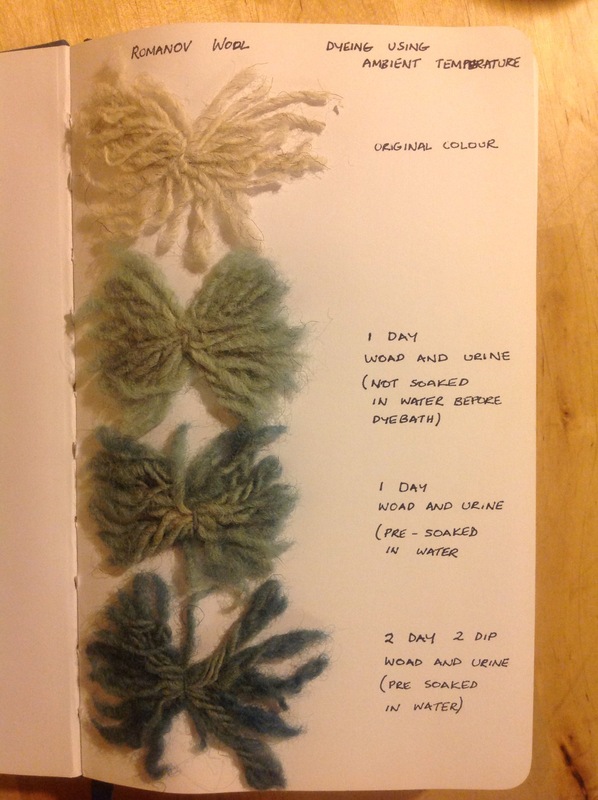 Some time back I started a journey involving rare wool breeds (mostly wools not found in Australia) and ancient natural dyes. The first wool I got hold of was a Russian one. (I do living history, we try and portray life in 7th century Staraya Ladoga). Finding wools from Russia or even the names of the breeds is not exactly easy. (If you are reading this and are from Russia and know sheep breeds I would love to heard from you about everything) I was able to score some Romanov wool. I am really not sure what century exactly this sheep breed comes from other than they were discovered some time back. I got cleaned tops and I spun them faithfully on my drop spindle. Then I got a sig vat (urine vat) prepared, thanks to a very understanding husband making donations for science. Sadly I did not document this process but as the weather warms I will make up a new vat and show the whole process. 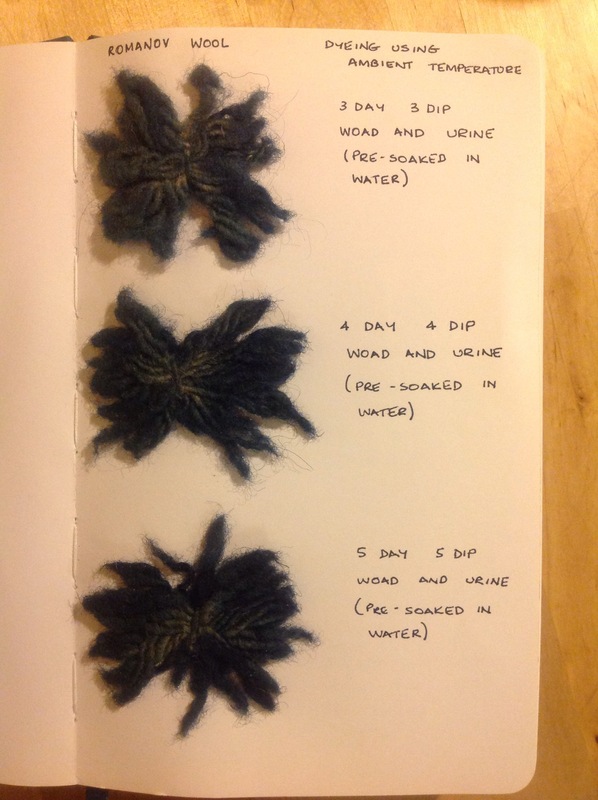 I did document small samples of wool and dips which you can see in these pictures below.